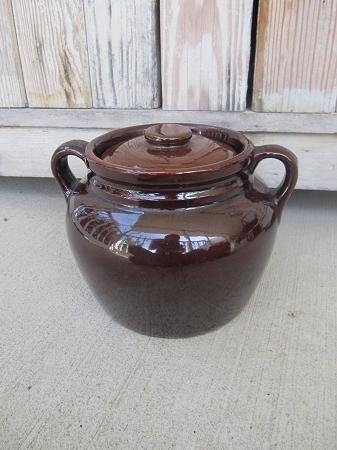 Antique primitive stoneware crock bean pot with handles and lid. Rich brown stoneware color with double handles. 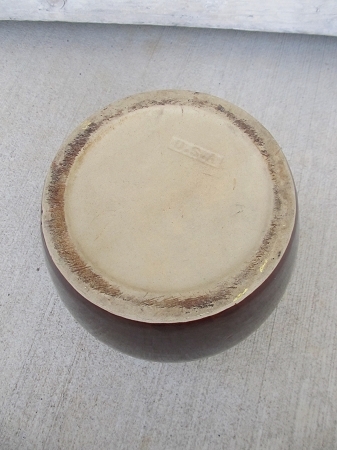 Has original lid and both pieces are in great shape! The bottom has an imprinted USA marking on the bottom. A fantastic piece to decorate your primitive country kitchen with! Size is 8 1/2" with handles x 6" High x 6" bottom diameter.